BrooksEdge: Phillip Street, Maddington– 82 lots; Porter Consulting Engineers were appointed by a private Developer to undertake civil design and construction management for this residential development in Maddington abutting the Canning River foreshore. Initially the project required drainage strategies to be prepared to guide the development of the UWMP for the site. The project was designed and constructed as one stage and integrated into existing infrastructure surrounding the site and abutting residential development. Mirrabooka Town Centre/Herb Graham Centre development – 36 lots; UDIA Award nominee; Winner 2009 Local Government Engineering Excellence Award. Porter Consulting Engineers were engaged by the City of Stirling to assist in the design and development of Northwood Grove and undertake the detailed design, documentation and contract management of this unique urban infill subdivision. Lakeway, Claremont – 40 lots; Winner UDIA Award 2009 including the Best Residential Development Under 250 Lots. A prestige, private Perth subdivision located at Narla Road in Swanbourne that was an old drive-in theatre site converted to a new, quality, fully-landscaped residential area. 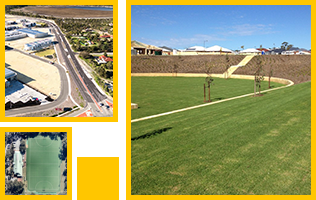 Porter Consulting Engineers were appointed to undertake civil design, supervision and contract administration and worked closely with the Town of Claremont and Hassell Landscape Architects to take advantage of the natural land contours and vistas over Lake Claremont. Lockridge New Living Urban Renewal – Winner UDIA Award 1999 – Urban Renewal. Engaged as part of the Voran team that undertook the Lockridge Urban Renewal for the Department of Housing and Works. The urban renewal process involved extensive engineering consultation with key stakeholders to develop public ownership and pride in the redeveloped area. The retrofitting of new subdivisions in place of old multi-story apartments required extensive engineering consultation with abutting landowners and service authorities to maximise opportunities that were available and minimise disturbance during construction. This project was acknowledged by a UDIA award as being an outstanding example of urban renewal. Engaged by the Department of Housing and Works to undertake the first stage of a new WA subdivision at Cable Beach east of Reid Road in Broome. Drawing on our previous experience in the development of the Broome Housing Strategy with Hames Sharley, we worked with the town planners and the Department of Housing and Works to create a subdivision that was culturally acceptable to the local community and sensitive to the existing landform. the existing landform drainage to recharge local groundwater areas. The overall development created a subdivision based on grid-iron pattern roads that replicated the historical pattern of Broome. It also allowed the creation of swales with depressed areas for drainage detention to run towards a recharge area at the base of the dunes in the Minyirr Regional Park. Local aboriginal representatives worked with us to advise on any sensitive issues and liaise with interested local groups. The resulting WA subdivision blended with the natural landform and was well accepted by the local communities. 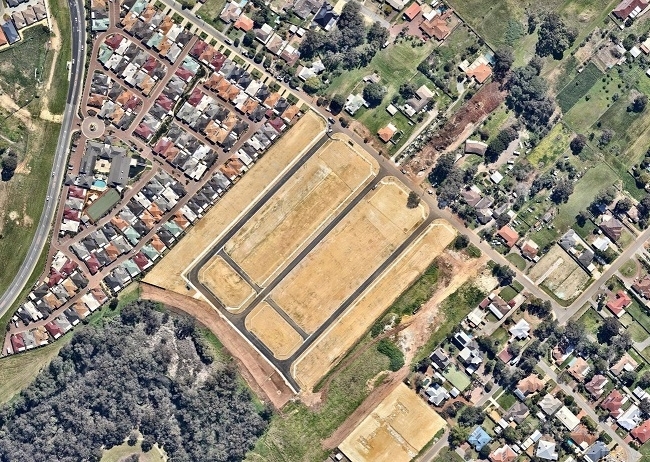 Furniss Estate, Furniss Road, Landsdale – 136 lots; Completed all four stages ahead of time for Linc Property Group. The land development project involved the full design, documentation and contract administration to transform a disused sand pit into a premier industrial estate that generated unprecedented demand. Malaga Industrial Park, Marshall Road, Malaga – 23 lots; Engaged to provide civil engineering advice and detailed design and contract administration for the redevelopment of the former AlintaGas Depot on Marshall Road into a prestigious industrial estate. The site required significant remediation and earthworks along with careful management of acid sulphate soils. South Central is a new commercial centre located off the Kwinana Freeway on Armadale Road. Porter Consulting Engineers was responsible for the road design and infrastructure services to open the Estate for the high quality commercial/retail development. Work included development of a new intersection and the duplication of Armadale Road; development of the extension of North Lake Road and mains water and sewer design. 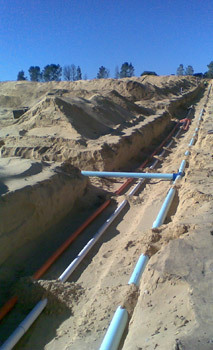 A project managed by Porter Consulting Engineers to undertake the design development, detailed design, contract management and commissioning of roads, sewers, pump stations and pressure mains, water supply, drainage, earthworks and utility services for the first stages of the General Industry Precinct, Port Precinct and Service Commercial Precinct. The detailed subdivision works followed from our earlier involvement with LandCorp in the production of the Kwinana and East Rockingham Industrial Area Improvement Plan and the East Rockingham Industrial Area Structural Plan. A special residential estate located on the western side of the town abutting Margaret River. The project transformed an old, unused rural subdivision into serviced, special residential lots. Strict environmental controls were put in place to protect and manage the adjacent river and its surrounds. The engineering challenge was to create a sustainable drainage system and interface the development of individual land holdings. Porter Consulting Engineers represented five of the land holders as well as developed the overall infrastructure contribution scheme. The project created a unique special residential estate where the landform was retained. This involved an extensive review of drainage requirements and the preparation of drainage and nutrient management plans to satisfy the Shire of Serpentine Jarrahdale, Water Corporation and Department of Environment requirements. The ultimate plan created several large basins and a series of interceptor drains that allowed the site to detain runoff to the predevelopment rate and not exceed the capacity of the downstream rural drainage system. The 2,000m² lots were fully serviced with water, sewer, power and Telstra. The sewer required the development of a pump station and pressure main onsite interfacing with adjacent subdividers to allow the pressure main to run through their development. A special rural estate located off Hopkinson Road, Cardup. The project involved drainage analysis and the detailed design and construction management over three stages of roads, drainage and fire control facilities. The latter in particular required purpose built bore, tank and automated control facilities. Located in undulating terrain at the foothills of the Darling Range, the special rural subdivision required roads and drainage to be designed to complement the landform. Particular care was taken to minimise vegetation disturbance to create an aesthetically pleasing estate.